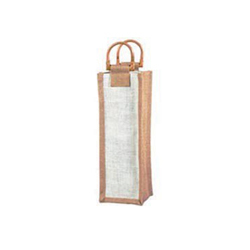 Jute bags are incredibly popular with people who want a durable bag that is kind to the environment. Not only do jute bags look great they can also be a fantastic marketing tool for your business. 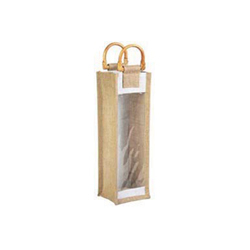 At Paper Bags Direct we have a range of jute bottle bags and shopping bags. Some of the styles can be printed with your choice of design and they are perfect for trade shows, promotional events or just to give away to your customers. The jute bottle bags that we sell come in a choice of three styles – single bottle bags that have a window, single bottle bags without a window and double bottle bags. These will hold any bottle of wine or spirits and can be used and reused many times over. With sturdy handles and strong stitching our jute bottle bags are bound to be a hit. 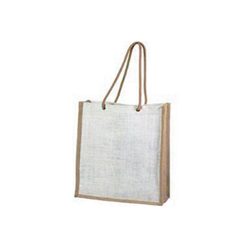 If you are looking for jute shopping bags, we have medium and large versions that can be printed on with your logo or slogan. 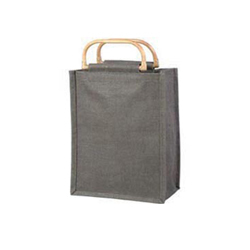 Choose from medium midnight grey / black bags, medium white and natural bags and large natural jute bags. 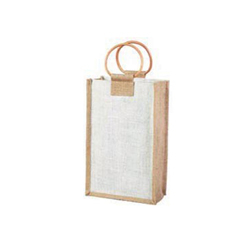 Jute shopping bags are one of the preferred types of bags as they are easy to carry, they can fit plenty in them and above all else they are super strong. If you would like to order any of our jute bottle bags or jute shopping bags they are available in packs with the minimum order being one pack. The more packs you buy the cheaper the bags will be, so keep this in mind if you will be using them for promotions. You can shop online or order via the telephone and payment can be made using any of the major credit cards. 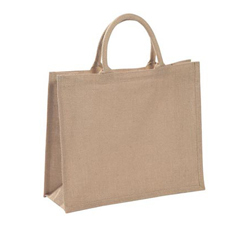 If you have any questions or queries about jute bags or any of the other bags that we supply, please contact us and we will be more than happy to help.